Following on from his Entering Darkness album back in 2016 ‘Greek weaver of Darkness’ Noamm has a new album out on Bass Agenda Recordings. It’s as good if not better than its predecessor and Fighting Boredom have been captured in its web. On the surface Black Waves shines brightly, it reflects stark white lights and stainless steel shells, it’s funky and open, polished to a high gloss glowing in the night. But as you listen to it you see that underneath the brightness there is a cold dark river of black. It’s the sound of the AIs coming back to the surface after we have gone. It’s the rhythm of the robotic dance of celebration after the last human has perished and gone into the dark cold void. It’s the feeling of the last tree and blade of grass covered with riveted steel and polished concrete. It’s the sound of the end. You can dance to this and God it’s got a groove, but as you do you realise that the pill you took laughing at the start of the night will leave you cold and alone come the morning, the bright clothes you wear will be soiled and blackened when you get home and collapse. It’s all about the darkness inside, the self hatred eating away at you and the doubt and loneliness that come to us all. It’s an album that contradicts itself, the beats and squelchy synths belaying the feeling underneath that will get you, it will get you and you won’t be able to move away once it does. 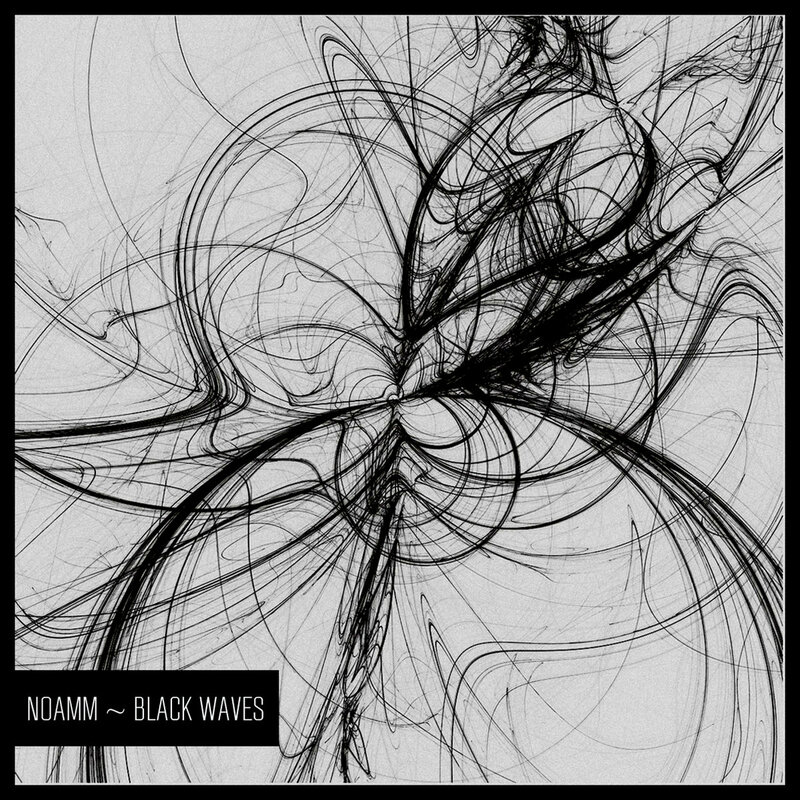 Noamm has given us an album of exquisite dark electronica, dive in, ride the black wave. Black Waves by NOAMM You can buy Black Waves at the Bass Agenda Recordings Bandcamp page. Noamm is on Facebook. All words by Adrian Bloxham.